This printable Holiday Scavenger Hunt is a fun activity for those long winter days off! Whether you live in the country, the suburbs or in the city, scoping out some holiday scenery is a classic family activity. 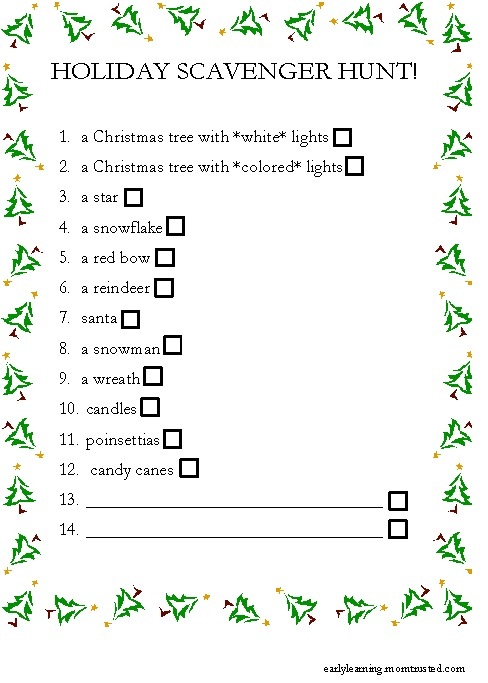 Use this printable scavenger hunt as a guide to get the most out of your neighborhood light shows! If you’ve got an extra camera at home (like an outdated point and shoot), let your little scavenger bring along the camera and click some snapshots of their finds. What a fun opportunity to learn to start taking pictures! There’s even extra spots to add some neighborhood specialties for your kids to keep an eye out for – we added holly berries and jingle bells. We did some of our “hunting” at night, and some during the day. It was easier to see some decorations when it was light out, but the trees and lights obviously looked better after dark! Remind your kids that some of the items on the list may be “real” or “pretend”. 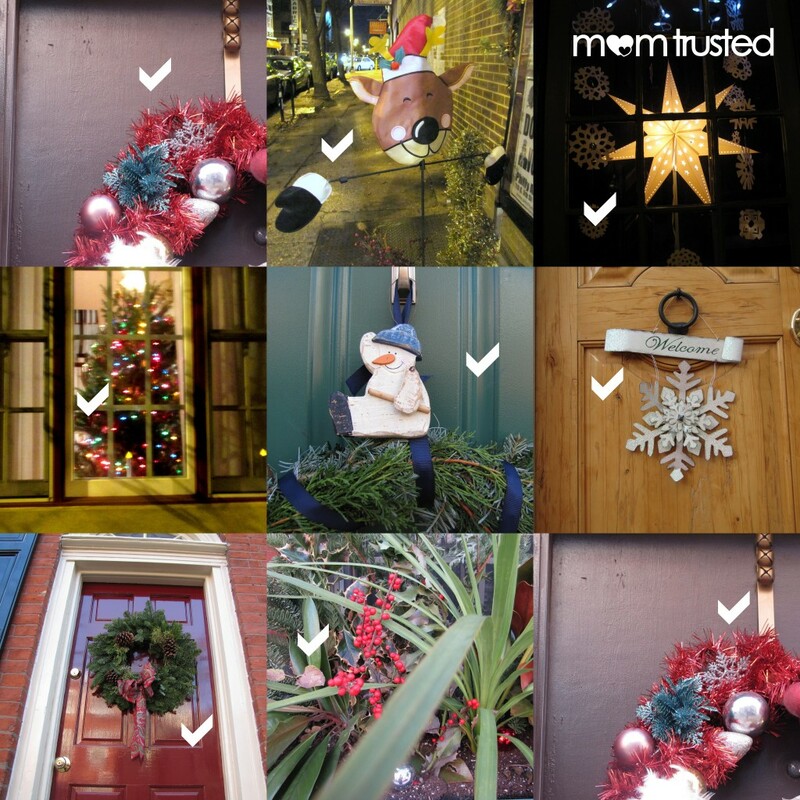 Here’s some of our finds from the checklist – what did you find in your neighborhood?